I just love the fall season, don’t you? The brightly-colored leaves delightfully crunch under my feet on my morning walks, yummy foods simmer in the kitchen, I get to wear big comfy sweaters and fluffy socks, and – the best part – it smells amazing! You know those fall aromas? Pumpkin pie, spiced cider, roasting turkey, clove and citrus and all that goodness that brings back those happy childhood days. The smells of this season bring me so much joy. But with this colder season comes dry, sensitive skin from showers that are too hot and wind whipping at our cheeks. So I’ve whipped up an easy moisturizing body scrub that combines the best flavors of the autumn season with powerful anti-inflammatory ingredients to soothe your skin. 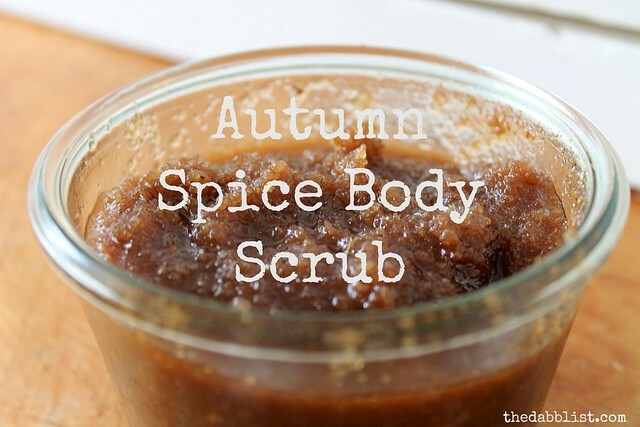 I’d like to think of this scrub as dessert for your skin – where the sugar and spices love on your body instead of hurting it. 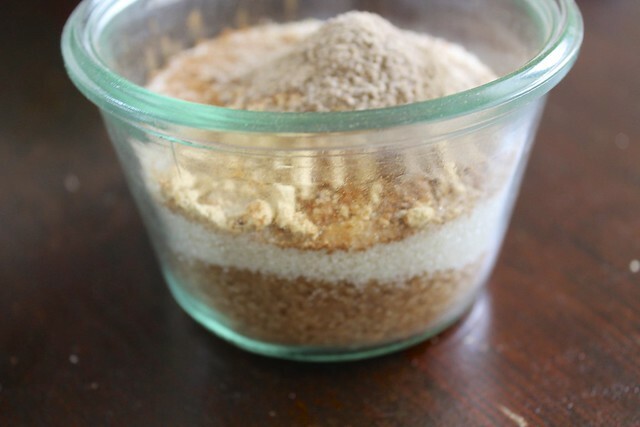 Combine all the dry ingredients in a lovely glass jar or tin, then pour the oil over it. Stir around the mixture until everything is well combined. If it seems a bit dry, add more oil. If it seems too oily, add more dry ingredients. Cover mixture to keep from drying out and gift to a loved one (with a pretty tag and some ribbon) or keep by your shower for an invigorating, sweet smelling experience. To use, wet skin first and apply a half-dollar sized amount of scrub using circular motions. I like to start at my feet and work my way up towards my heart. Once you’ve covered all areas of your body, rinse off with warm water (not using any soap). Your skin will feel petal-soft, so lightly pat dry and wait 5-10 minutes before putting on clothes. Fi might like this. Ty for the idea! Just made this for the Gratitude Experiment. Mmmmmm so good! I liked this the first time I tried it. BUT the second time I tried it I added a bit more ginger and cardamom. About 1/8 of a teaspoon more of each. It turned out so terrible I couldn’t get it off my hands it stuck to everything looked and smelled disgusting. Just a note this only works if you follow the recipe EXACTLY and only do it if you don’t mind smelling like a pie threw up on you and then you got drenched in ginger. No offense to this recipe but it has a refined smell.